How many times have we heard staff on fundraising teams say “that’s not my goal” when something goes sour during the financial year? How many times have we, as fundraising staff, been handed a goal without understanding how it was created? Frustrating, at best, and completely preventable if managers and staff work together on goal setting. How do managers gain ownership for fundraising goals and other Key Performance Indicators (KPIs) in a development department? How do fundraisers make sure they have the ability to shape goals? Managers who include staff in the goal setting process are most likely to see buy-in from staff. 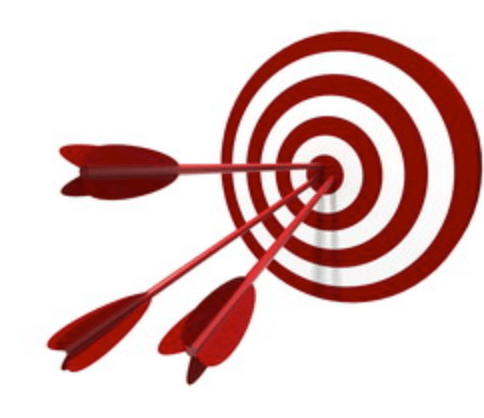 Whereas managers who set goals for their team members often times see goals that are not met. Set the tone for the process by conducting a short session with the entire team and set clear expectations up front. What overall revenue is expected by the organisation to meet the program and other costs? What is the process staff should follow throughout the planning process? What are the deadlines for the process? Check in with the team on a routine basis throughout the planning process. Be available to help staff who need assistance. Don’t be afraid to push staff who procrastinate or avoid the task due to fear or, perhaps, a lack of understanding. Review the team’s progress in a team setting. Reviewing together allows for idea sharing and for staff to feed off one another. If one team member has under delivered during the process, the team setting sets a tone of healthy competition and helps people rise to the occasion. Once the plan is agreed to for the year, ensure reports are established so staff know how they and their programs will be measured and at what intervals. Keeping your eye on the prize allows for moments of celebration when key milestones are met or exceeded. Establishing reports allows for course correction should something not go as plan. Routine review may also be cause for an increased investment in a fundraising program when an area is performing exceedingly well. Goal setting does not need to be as painful as a root canal. Make it fun, inclusive and motivating to be part of each year.